Why install a quality air cleaner (And not just a 1" or 2" filter). HEPA is an acronym for “high efficiency particle arrestor”. Basically HEPA is a type of filter that can trap the smallest particles that other air filtration systems would simply recirculate back into the air of your home. 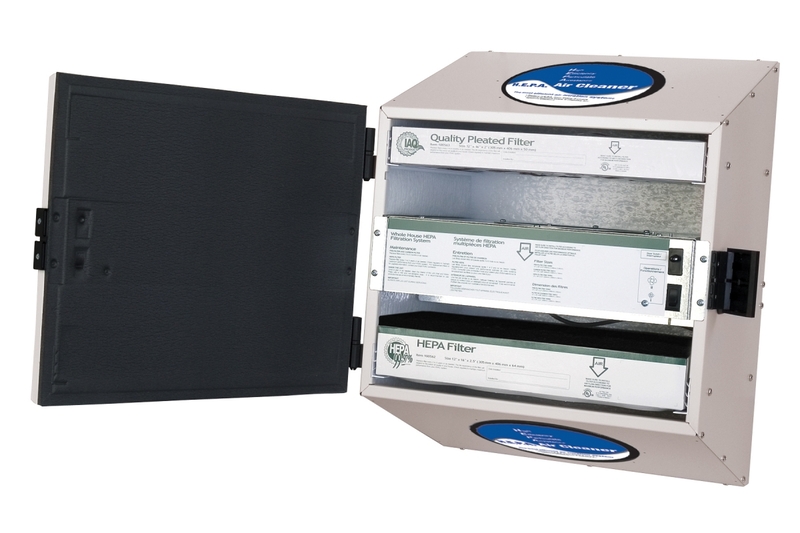 HEPA filters trap particulates that can cause problems for allergy and asthma sufferers, reducing or eliminating them to make the air cleaner for those residing in your home. 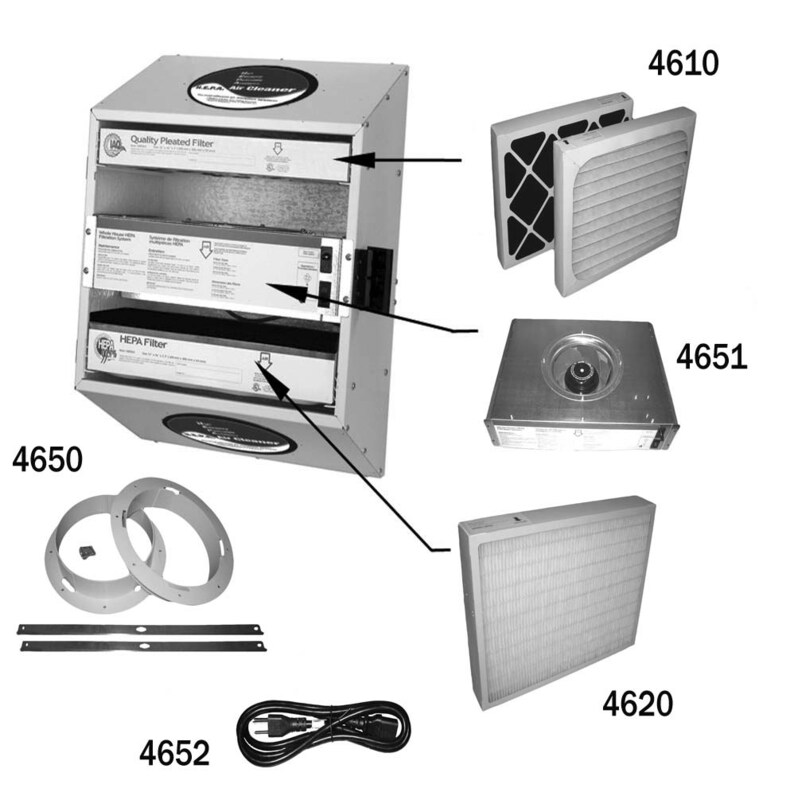 High Efficiency Particulate Arresting (HEPA) filters have been around for quite some time. In the 1950’s during WWII, HEPA filters were invented by the US Atomic Energy Commission (AEC), who needed something that would remove small radioactive dust particulates from the air. In the last decade HEPA-technology air purifiers have been used to clean indoor spaces from homes to beauty salons to hospitals and operating rooms across the country. The Environmental Protection Agency (EPA) as well as the Occupational Safety and Health Administration have endorsed the HEPA filter as being the absolute best filter in cleansing the air. How is HEPA made and how does it work? The difference between a HEPA filter and other filters is that it is made of thin fibers of glass. The fibers are formed into a thick paper-like material that is pleated, with some HEPA air filtration systems having as much as 40 square feet of the folded filter material in the HEPA system. As particulates in pretreated air attempt to pass through the filter’s thick, folded surface they cannot; instead, they adhere to it. Because HEPA Air Filtration Systems combine HEPA filters with carbon-based materials, they stop mold spores, bacteria, viruses, pet dander and dust, and also help to eliminate harmful gasses and odors from your home. Thus, the air that leaves this type of air purifying system is cleansed and almost totally free from contaminants. System is 99.97% efficient at removing particles 0.30 microns from the air that passes through the HEPA filter. 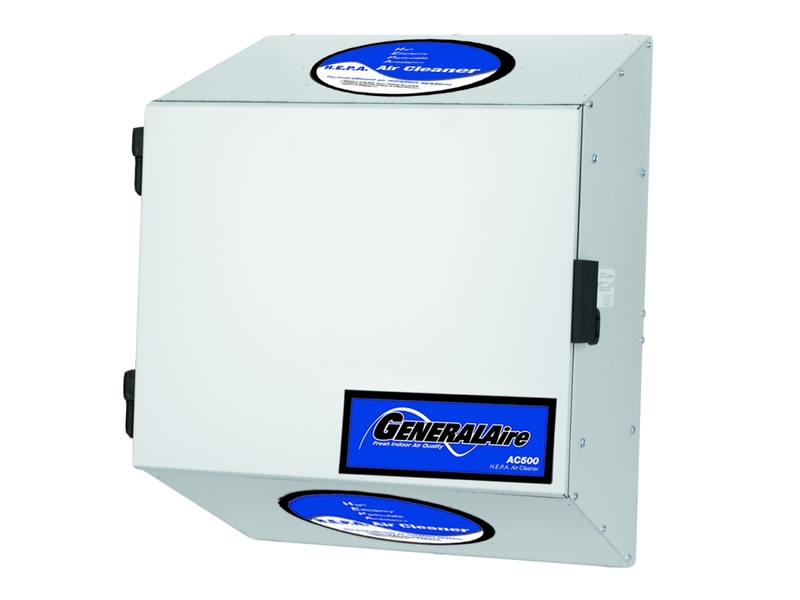 If you or someone else in your home has allergies or asthma, the GeneralAire® AC500 HEPA Air Filtration System can undoubtedly make a difference in your lives. Studies show that young, asthmatic children who had HEPA air cleaners in their bedrooms for almost four months showed a lesser amount of asthma symptoms. Even if asthma or allergies are not a problem to your family, just breathing clean air can be an added bonus in itself. Plus, an air purifier with a HEPA filter can also reduce the amount of dust in your home. This can make keeping your home clean a little bit easier. *To purchase this unit, contact your local authorized GeneralAire® wholesaler. Looking for replacement filters or parts? Click on "Shop IAQ Parts" and purchase them online, or from one of our authorized GeneralAire® wholesalers throughout the USA.